Several World Cup teams have now announced their preliminary World Cup squads, and with the tournament kicking off in less than a month it is time to look ahead to the group stage of the tournament. Up next is our World Cup Group D preview. Argentina qualified for the World Cup after finishing third in the CONMEBOL qualification group behind Brazil and Uruguay. Having won the tournament twice (1978 and 1986), La albiceleste will be participating in their twelfth consecutive World Cup in Russia. As always, the South American country will be rated among the favourites. At the same time, however, there are some significant doubts over the competitiveness of La albiceleste. Argentina struggled at times during the qualification stage of the 2018 FIFA World Cup and were only qualified on the final day of South American qualification after beating Ecuador 3-1 away in Quito. The country went through a string of poor results throughout qualification and as a result, fired Edgardo Bauza halfway through qualification replacing him with Sevilla head coach Jorge Sampaoli. Sampaoli successfully guided his country to Russia but even he struggled at times and in the buildup to the tournament La albiceleste lost 6-1 to Spain in March. Riddled with corruption and dependent on superstar Lionel Messi Argentina enter the World Cup under the most difficult circumstances. At the same time, the South American nation will send one of the most talented teams to the tournament and, therefore remains among the favourites regardless of all the problems. When it comes to Argentina, it is tough to look beyond superstar Lionel Messi. The Argentine has dominated club football at will over the last decade but at the same time has struggled to make his mark on the national team. Defeats in the 2014 World Cup final, the 2015 Copa América and the 2016 Copa América Centenario have even resulted in a short-term retirement by the superstar. Thoughts of retirement were quickly ended, but another poor tournament could genuinely spell the end of arguably the world’s greatest player in Argentina’s blue and white striped shirts. Iceland will be everyone’s favourite underdog at the 2018 FIFA World Cup. With a population of just over 300,000 the tiny island nation have now managed to qualify for a major tournament for the second time in a row. Participating at the 2016 European Championships Iceland managed to not just emerge from the group stage, but the Strákarnir okkar also managed to eliminate England in the round of 16 of Euro 2016. Ultimately, the country was then stopped by hosts France in the quarterfinals, but the tournament was a major success nonetheless. What followed, however, would top Iceland’s success at the Euros – the island nation topped the UEFA qualification Group I ahead of Croatia, Ukraine, Turkey, Finland, and Kosovo to directly qualify for the World Cup for the first time in the country’s history. Now placed in Group D together with Argentina, Croatia and Nigeria Iceland will be once again a significant outsider. But going by past experiences the country will be happy with its role as the dark horses in Group D.
Although Iceland is defined by the collective players to watch include Alfred Finnbogason (Augsburg), Gylfi Sigurdsson (Everton) and Björn Sigurdarson (Rostov). Finnbogason has been in spectacular form for Augsburg at times this season scoring 12 goals in just 22 games this season. Sigurdsson, in the meantime, brings plenty of English Premier League experience as the 28-year-old was signed for €50 million by Everton from Swansea last summer and then ended up being one of the few constant players in the Toffies squad last season. Finally, Sigurdarson plies his trade in the Russian Football Premier League playing for Rostov, and his experience of playing in Russia will be invaluable for Iceland’s national team. Croatia will be one of the favourites to emerge from Group D. The Balkan nation will be participating in their fourth World Cup this summer. In the country’s short history as an independent FIFA nation, Croatia have only missed one World Cup – South Africa in 2010 – and are often considered a dark horse for every tournament they participate in. A third-place finish in 1998, however, remains the best finish for the Vatreni and despite having a very talented squad, there is always a sense that Croatia could disappoint at some stage of every tournament. Qualifying for the World Cup after finishing second behind Iceland in the UEFA qualification Group I Croatia will once again be clashing with Iceland. Iceland’s first-place finish in Group I meant that Croatia had to go through the playoffs where the Vatreni eliminated Greece. Regardless, of Iceland’s finish ahead of Croatia in the qualification group, however, Croatia together with Argentina will be favourites to finish in the top two of Group D and qualify for the elimination rounds. 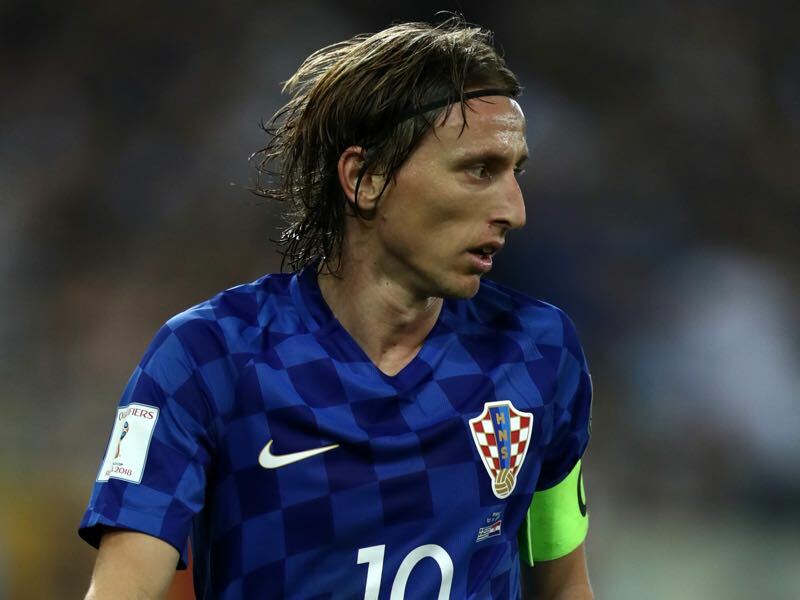 Croatia are littered with talent and among those to watch are Real Madrid’s Luka Modrić, Barcelona’s Ivan Rakitić, Inter Milan’s Ivan Perišić and Juventus’ Mario Mandžukić. Those four top stars will without a doubt guide the squad but what is impressive about the Vatreni is the depth in the squad. Young and upcoming stars include Hoffenheim’s Andrej Kramarić, Frankfurt’s cup hero Ante Rebić and Red Bull Salzburg’s Duje Caleta-Car among others. Scouts without a doubt will put a heavy focus on any game in which Croatia are involved as the Balkan country produces an endless stream of talented players. The World Cup has not even kicked off, but Nigeria have already won the fashion contest when it comes to the most beautiful shirts at this year’s World Cup. Nike has already received over three million orders for what is without a doubt the most stunning shirt at the tournament. Nigeria, however, will hope to impress beyond their attire. The Super Eagles, after all, dominated their CAF qualification Group B. Placed in a group with Zambia, Cameroon and Algeria Nigeria collected 13 points from the six matches finishing the group five points ahead of second-placed Zambia to qualify for the World Cup in Russia. Often tipped to become the first country from Africa to win the World Cup Nigeria will now participate in their fifth World Cup and their third in a row. 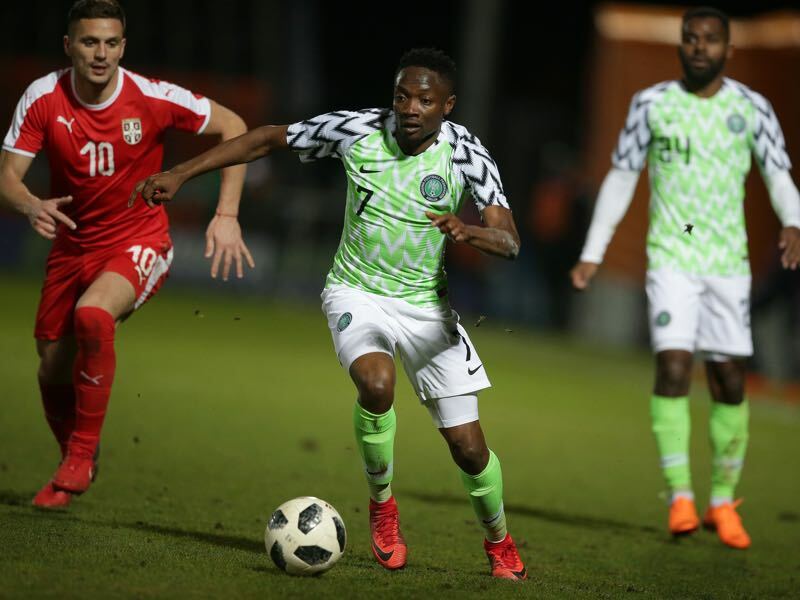 Placed in Group D alongside Argentina, Iceland and Croatia, however, they may have been drawn into one of the most difficult groups and while Nigeria can surprise in this group of death it would be a surprise should the Super Eagles emerge as one of the top two countries in Group D.
Players to watch include Mainz’s Leon Balogun, Chelsea’s Viktor Moses, Leicester’s Kelechi Iheanacho, and CSKA Moscow’s Ahmed Musa. Ahmed Musa, in particular, will have a point to prove at this summer’s tournament. A star in the Russian Football Premier League for CSKA Moscow, Ahmed Musa made the step to Leicester City in the summer of 2016. But the striker never prevailed in the English Premier League and returned to CSKA this winter where he scored six goals in ten games helping CSKA Moscow to a second-place finish in the RFPL. Now at the World Cup the 25-year-old wants to underline his value and show the world that he can be a top striker in a top competition.